Perfect for small spaces. 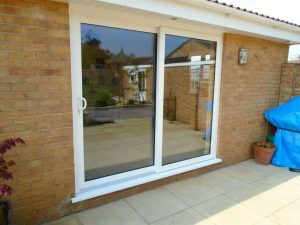 The door slides behind the fixed pane rather than opening in or out. Secure. Multipoint locks and toughened glass as standard. 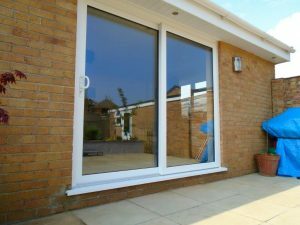 Sliding patio doors allow you to add light into your room and maximise your view without compromising on space. 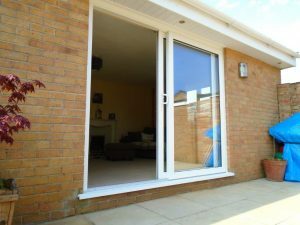 Our easy-open doors slide rather than opening in or out meaning no space is lost in the room or garden. 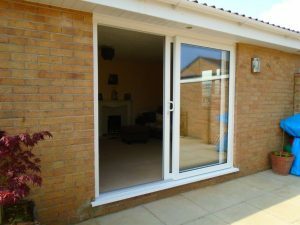 Made with uPVC or aluminium and fitted with double glazed units, they are energy efficient, low maintenance and secure. 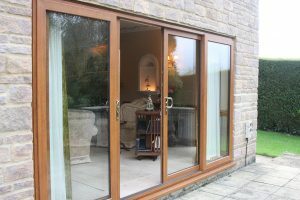 Are you interested in our Patio Doors? 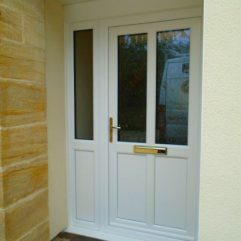 Then contact us today to discuss your requirements for a free no obligation quote.